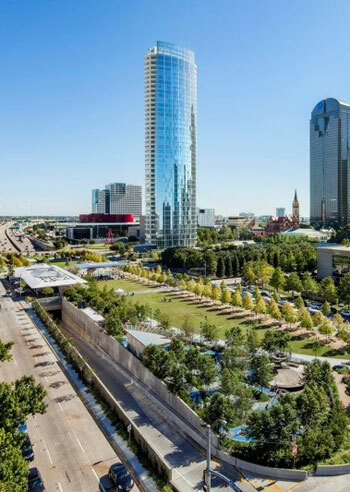 Klyde Warren Park in Dallas, Texas, won the Urban Land Institute’s 2014 Open Space Award, which recognizes “public spaces that have socially and economically enriched and revitalized their communities.” Completed in 2012 by landscape architecture firm The Office of James Burnett (OJB), the 5-acre park is a green roof, decking over the sunken Woodall Rogers Freeway. As the highway was submerged, a new living, breathing space was made possible. 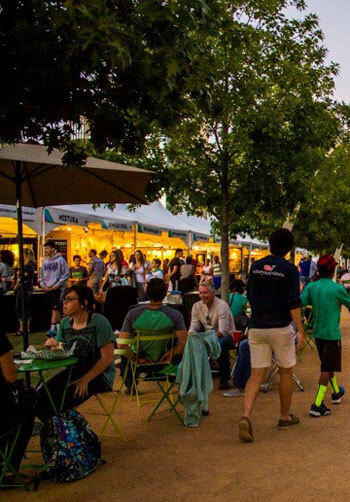 The park now connects the city’s downtown cultural district with the mixed-use neighborhoods to the north, helping car-centric Dallas become a healthier, more walkable place. According to OJB, the park brings it all. 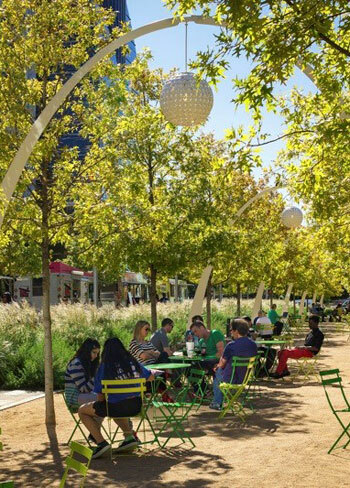 There is a “flexible, pedestrian-oriented design, offering a mix of active and passive spaces.” Spaces are either grand or intimate. In the grand category, there is a sweeping pedestrian promenade with botanical garden and great lawn, with fountain and performance pavilion. Smaller spaces include a children’s park, reading room, games area, and dog park. 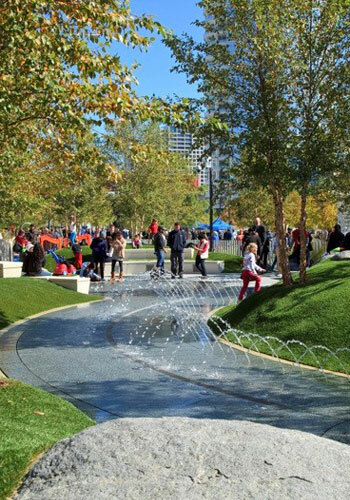 The park also incorporates sustainable design elements. The landscape itself has a “continuous canopy of Pond Cypress,” and much of the design is characterized by the “use of native tree and plant species,” which are all kept alive through the Texan summer through a water reclamation and purification system. There is a high-efficiency lighting system throughout, featuring solar-powered light poles. The buildings, which have been certified LEED Gold, use geothermal energy for temperature control.